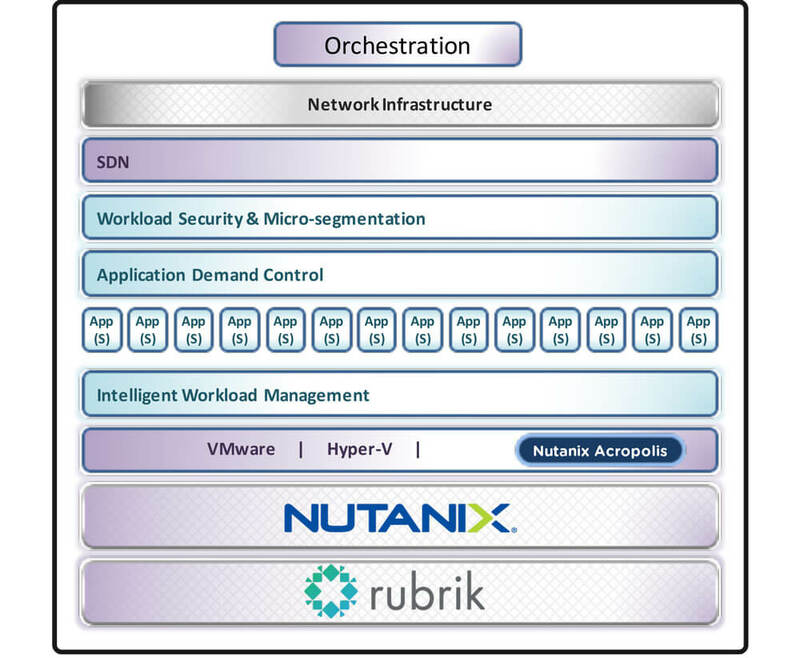 Rubrik eliminates backup software by integrating data orchestration, catalogue management, and deduplicated storage into a single, secure, scale-out fabric. It simplifies backup and recovery for virtualised environments. Rubrik scales linearly so your business is not hampered by forklift upgrades. Deduplication, compression, and other data services scale in-line with the cluster to maximise efficiency and savings. Instant recovery is delivered without rehydration or additional storage provisioning. Lengthy backup setup times, broken job scheduling or uncertain recoveries are relics of the past. Minimise impact to production applications and VM stunning. Data enters Rubrik through the flash tier and lands on spinning disks. Take application-consistent snapshots for Microsoft Exchange, SharePoint, SQL Server, Active Directory, and Oracle RDBMS. No agents are required. Create backup policies in minutes by selecting snapshot frequency and retention. Assign VMs to backup policies. Sit back and relax as backup policies are executed. Track whether backups are successfully completed and meeting the defined policy. Keep an eye on your capacity utilisation, growth, and runway. Discover your data instantly, even if it’s archived in the cloud. Get immediate suggested search results as you type the VM or file name. 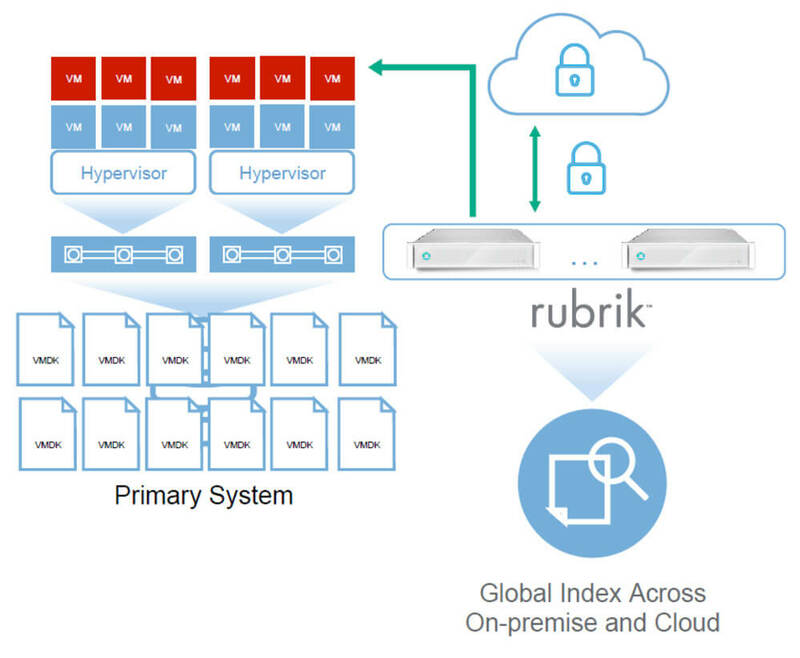 Instantly recover VMs and applications by mounting directly onto Rubrik. No rehydration in production required.